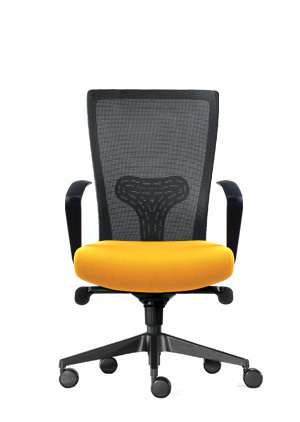 Product-focused aesthetics-driven and ergonomically contoured backrest gives you maximum ventilation and dynamic back support. 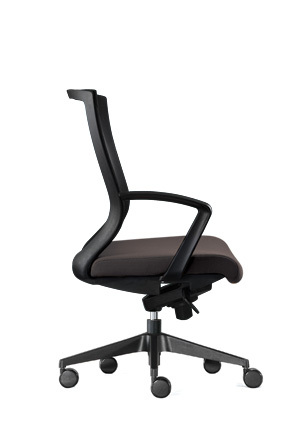 The two-pivoted headrest allows precise adjustments of the angle and the height, where user can loosen the two knobs at the backside of the headrest to move the headrest up and down or backward and forth to the desired position, and tighten the knobs to support neck and shoulder comfortably in any seating position. 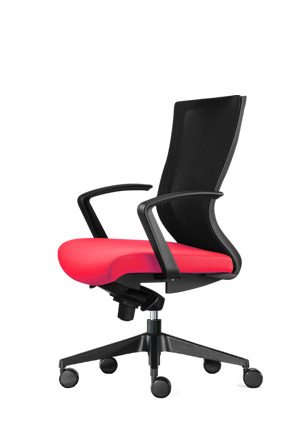 Swivel knee tilt mechanism with multi tilting lock system and tilt at 30° reclining position, allows tilting of backrest and seating in same angle, also allows angle locker to help user to control over tilting angles for desired working postures. 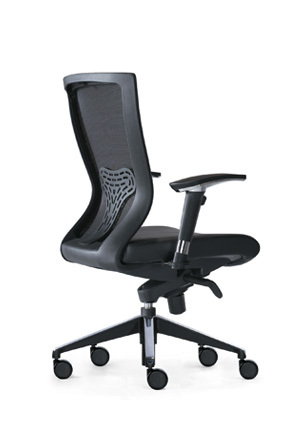 Artfully designed moulded polypropylene frame, along with horizontal polypropylene lumbar support can effectively supports and disperses overall pressure in the back to relief fatigue, by adjusting the height of the lumbar support on the backside of the chair with up-down motion to the supporting point or desired position. 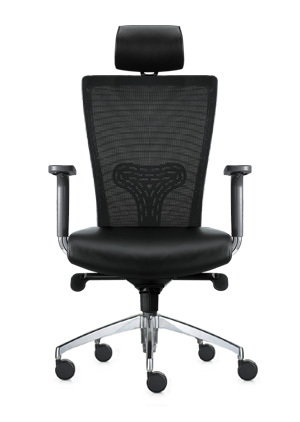 5 pronged die-cast aluminium polished base, generates by highly sophisticated ambience to provide strong stability. Sturdy 60mm polyurethane dual-wheel castors are designed for smooth gliding with safety feature, enable user to swivel in any directions in a perfect balanced-environment, and also reduce floor scratches and chair noise while moving.